Weddings are more interactive than ever before, and guests aren’t just getting social on the dance floor. While some hotels now offer the luxury service of a “social media wedding concierge,” it doesn’t take thousands of dollars to incorporate social media into your big day. So if you don’t opt for an unplugged wedding, here are some social media hacks for making sure your wedding goes smoothly—on and offline! First things first: your guests can’t participate on social media if their phone doesn’t work. Whether you’re getting married in a remote location away from cell towers, or you have out-of-town guests visiting that could incur roaming charges, ensure that WiFi is available on-site and get the password beforehand. You can then print the information on small cards and place them at populated locations around the venue, like the restrooms and bar. Millenial brides have made the “wedding hashtag” a must-have, and if you don’t create a hashtag yourself, your social-savvy guests may end up creating one for you. 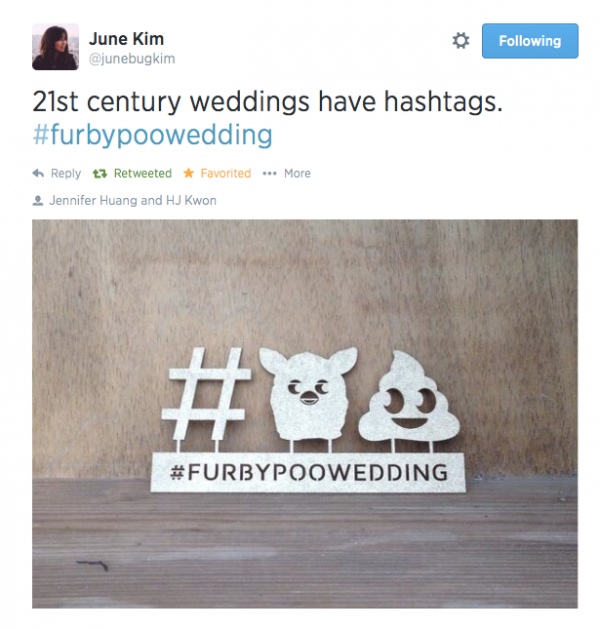 Creating a hashtag for your wedding allows you to bring all your guests’ photos and memories together. Make sure you choose something unique, and check online before “making it official” to see if any other couples have used your hashtag. 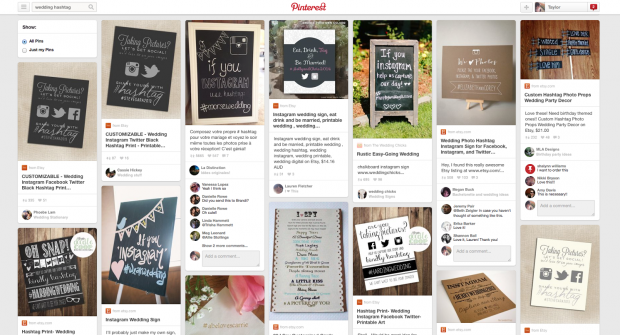 Promote your hashtag on your wedding site and encourage your guests to use it—it’s a great way to meet and interact with each other before the big day! Using Instagram and your wedding hashtag is a popular way to organize all the photos your guests share and an easy way to look back on your special day. But Instagram doesn’t have to only be fun for your guests: some brides are now handing over their own accounts to their wedding photographer or trusted bridesmaid. By having someone else share photos from your account in real-time, friends and followers not in attendance can still follow along with your happiest day. Capturing memories on video allows you and your guests to share in special moments over and over again. Vine is an easy way for guests to quickly record six second videos, like walking down the aisle to sharing your first kiss, while Instagram Video allows guests to put together a 20 second collage of smiles, first dances, and I Do’s. 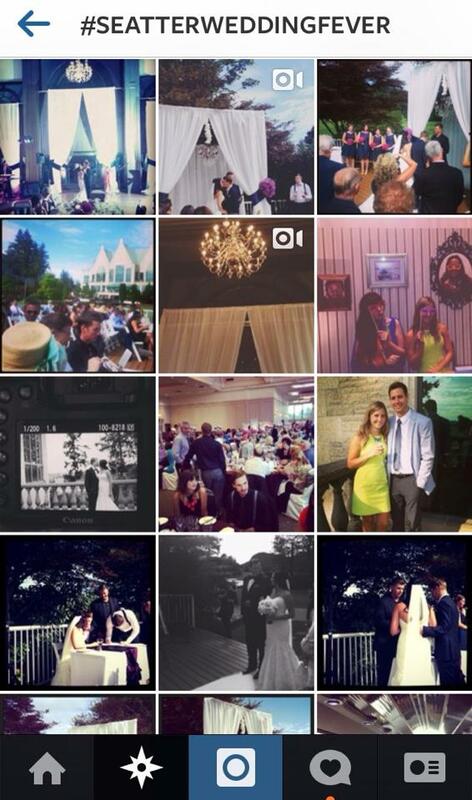 While you’re waiting for your professional wedding photos, you’ll want to reminisce with all your unofficial ones. 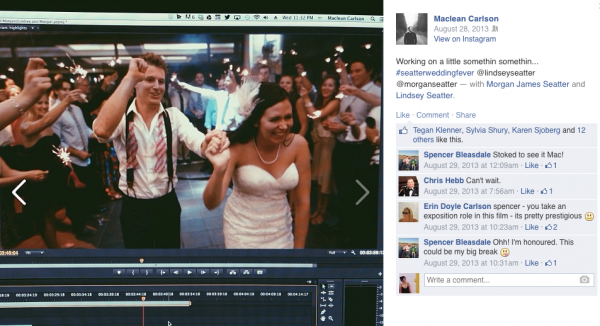 Instagram, Facebook, and Twitter all provide a way for your guests to post photos from your wedding, but chances are that only their favourite few made the social media cut. WedPics lets you easily create your own app for your wedding that guests can download and upload photos to without spamming all of their social media feeds. This is also a great way to include guests without social media profiles, like photos from your Grandma’s digital camera. Instagram photos are small, so if you want to cherish some of them forever, be sure to use a service like Artifact Uprising that specializes in high-res prints and photobooks of Instagram photos. Keep your hashtag going by encouraging your photographer or videographer to use it when posting “sneak peeks” or the final product on their social media feeds, and remember to include it for your future #latergrams or #throwbackthursdays. Finally, create a digital archive of your day by using Storify, which allows you to select your favourite wedding memories from Twitter, Instagram, Vine, and Facebook and view it all in one place.